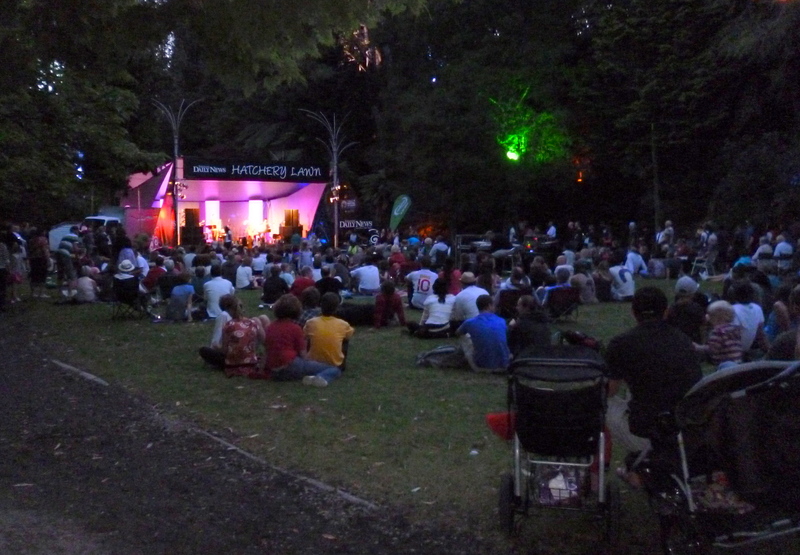 Every year, New Plymouth in New Zealand hosts the Festival of Lights for over a month during the summer period where bands play each night and the park is transformed into a magical place full of colour and light. 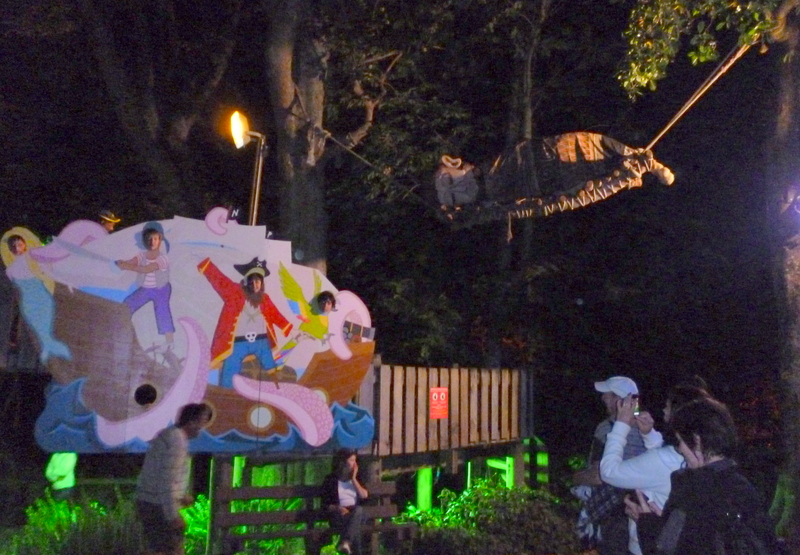 Ferns swish in the breeze, people row on the lake under a rising full moon and kids play in a floodlit playground under the presence and sound of a scary, snoring giant. Together with a couple of friends, I was on my way to see the Brazilian inspired band, Zamba Flam, play with Brazilian guest musicians. Clearly still unable to let go of my ongoing romance with South America, my time in New Zealand coincidentally has often seemed to lead me back to Latin experiences. I’m not complaining. A couple of beers in our rucksacks and some plastic bags to protect our bums from the damp ground, this was a cheap evening of free entertainment with a relaxed, summertime atmosphere. 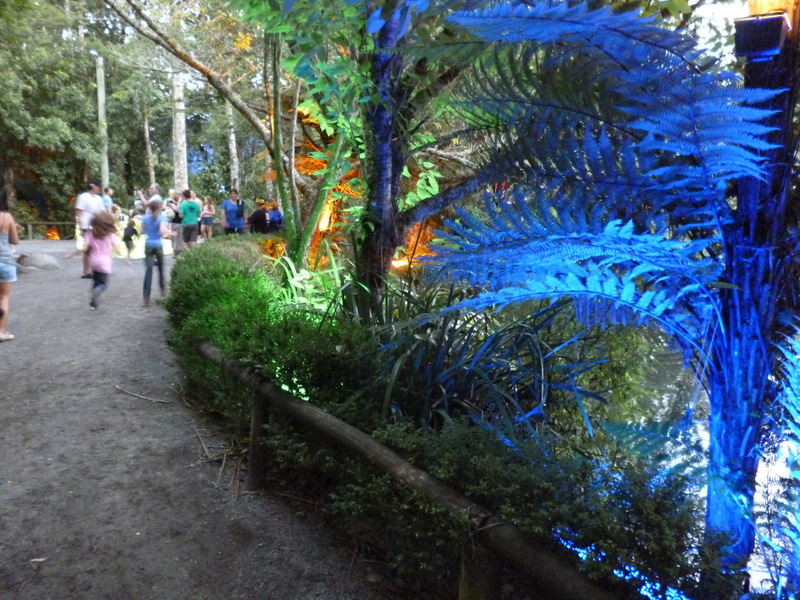 Along the walk down into the park, the plants and trees along the pathway were coloured with pink and blue and green and yellow lighting. The waterfall went through changes of projected colour sequences, and people posed for photographs and parents chatted to other parents whilst their kids manically bounced around, excitement for being up way past their bedtime. The sweetness of summer holidays. The band started their bossa nova rhythms accompanied by the low, silky voice of Alda Rezende. Groups of friends and families gathered around in clusters, clapping politely and chatting quietly in between songs. Couples cuddled in closely and a few uninhibited souls danced and swayed freely to the beat. By 10:00pm it was over, but there was one more thing that I really wanted to see: the glow worms. We walked by fabricated, oversized and UV lit flowers, and then tiptoed our way down a pitch dark pathway, voices to a whisper. And suddenly I saw the earthy bank twinkling with little lights. Further along it was even denser, these little worms shining out lights so bright that I questioned whether they were in fact real or yet another part of the fictional, fantasy world created by this festival. 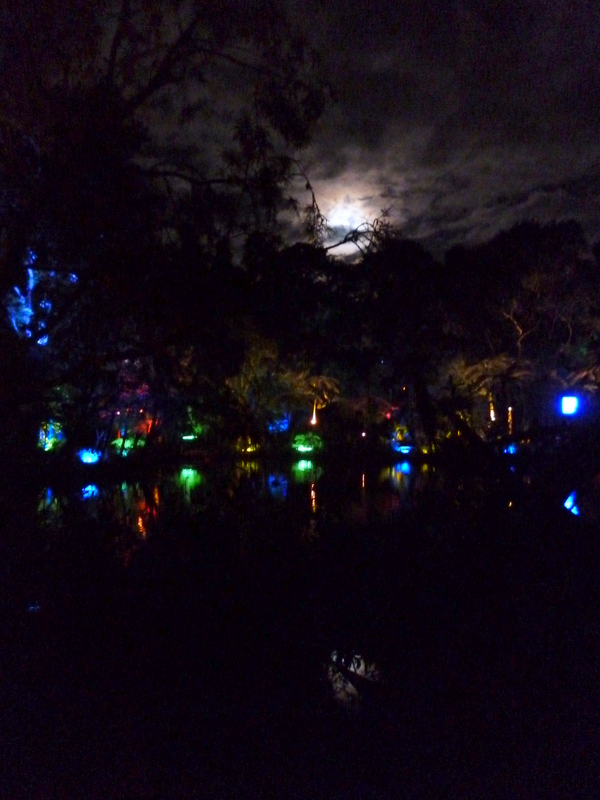 Back through the fernery, again drizzled with colour and light and magic, and we headed out of the park and back to normality under the gaze of the man on the moon. 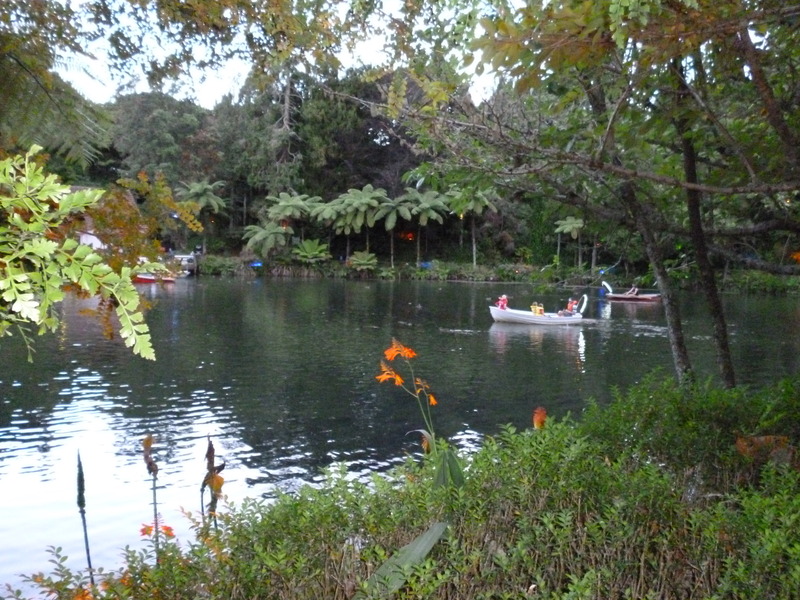 A midsummer night’s dream? Yes, it sure felt like it.